As of 1 December 2017, Mongoose Casino £3 free cash bonus has been replaced with our new Free Spin Registration Bonus. Mongoose Casino mobile now offer 20 free spins upon registration as part of our no deposit bonus on one of the most played mobile slot games. Players from certain countries are not only offered the free spins just for show, but the win amounts during those free spins are converted into bonus balance, which subsequently can be turned over to playable or cash out after the wagering requirements are met. 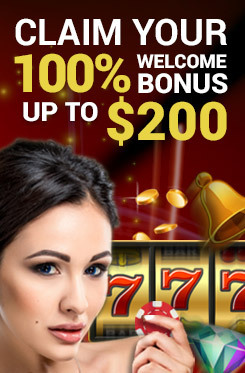 How to claim our no deposit free spins bonus on your mobile? 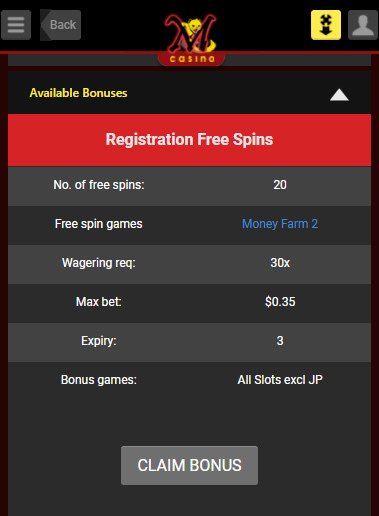 Go to the mobile game Money Farm 2 and your free spins should be available. Once the playthrough/wagering requirement is fulfilled, the balance is them converted into your cash balance at which point it can be withdrawn if desired. Free spins are only available once, straight after the new player account is active. Before all else, the free spins must be claimed, played and all 20 spins completed on the assigned game. All the standard requirements for any cash withdrawals need to be fulfilled once the wagering requirements have been completed, in order to withdraw the converted cash balance. Players need to go through the standard security measures and KYC compliance as with any other regular withdrawals.